Trip of a lifetime on the Karakorum Highway. I decided to travel into Pakistan on the Karakorum Highway in September 2017. I travelled overland from Kasghar, to Tashkurgan and then over the border into Pakistan. The trip would not have been possible without the excellent Abdul and the team. They organized the my transport, hotels and travel permits. Abdul was also always available on the telephone to discuss any things I wanted. Mr Ahmetjahn the driver was fantastic as well! With the team looking after all these arrangements I was able to just focus on enjoying the beautiful ride on the Karakorum Highway! I hope to come back to Xinjiang for another tour and will definitely speak to Abdul again. Great experience in Xinjiang. I went to Xinjiang this October Chinese holiday. I took part in 10 days tour and it was really fantastic!! I went to the desert for camel riding, Shipton’s Arch, Kashgar, Tashkargan and so on. The hotel conditions were OK but sometimes no hot water was available in the morning. Tour guide name was Tudaji, he was friendly and really care to us. Also all tour members were nice and kind. I will recommend this tour to my friends and also I’m sure to take part next tour to the Northern part of Xinjiang in summer holidays. Thanks for everything! 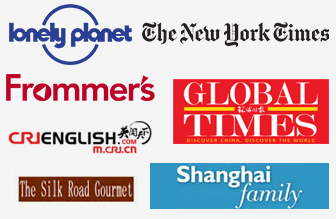 Great tour company to work with for Silk Road & Xinjiang trip. I’m the group leader for our travel group for the past 6-7 cruise & land tours. Back in the summer of 2016 we decided to have a trip to The Silk Road & Northern Xinjiang because we learned the history of Silk Road from the text books while we grow up in Taiwan. 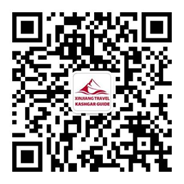 After asking around of some friends for referrals we end up contact Xinjiang Travel and another well known travel agency in China for itinerary suggestions & quote. We end up with Xinjiang Travel not only because their quote were 40% lower but also their prompt services. I was a little skeptical at the beginning because as a Mandrain speaking Chinese American I have to deal with Imam & Abdul in English about this 2200 years old Silk Road history. After numerous email for a year finnaly we nailed down this past September trip for our group of 30 senior citizens. Unfortunately me & my wife unable to make the trip at the last minute but I nominated another friend as the group leader to work with Imam during the trip ( Imam, one of the owner served as the National Tour Guide traveled along with our group the whole time ). I can’t write any thing about the actual trip experience but from the feed back of my group members, it’s definitely a successful trip and everyone praised the driver, local guide’s knowledge and Imam’s ability & flexibility in resolving issues occurred unexpectly. I definitely will work with them again if I organize another Silk Road trip. Great way to experience a great part of China. We recently spent the October holiday in Xinjiang and (amongst others) travelled two days in and around Turpan with Xinjiang travel’s guide Ahmatjan. He was very knowledgeable and friendly.Turpan and surroundings are full of places that are absolutely worthwhile to visit and Ahmatjan made the trip very enjoyable. I booked a 10 day Xinjiang Tour and can only recommend It. Perfect organisation, knowledgable and helpfull guides who’s English is very good. The only hickup is the speeds limit regulations of 40 km/h in the region for which the company cannot be blamed.i would book with them again! We are a german couple living in Shanghai and managed to go to Xinjiang during Golden Week. One of the Highlights may be t h e Highlight is the tour on the Karakorum Highway which we booked through Kashgar Guide or Xinjiang Travel. From the first contact Abdul was responding at once. If you live in China it is easy with WeChat or SMS to communicate. We had a 2-day-tour from Kashgar staying over night in the Crown Inn in Tashkurgan. It takes whole day driving although Highway is new but with all the controls. Tudajim was a very good guide, always friendly and telling a lot of interesting things about life of the nomads, locals and sights we saw on our way. We went to nice local restaurants and had good food. The landscape is breathtaking and never boring. You can see camels, yaks and of course these incredible mountains. The whole tour was organized very well. Abdul always informed us at once about anything and put a lot of efforts to ensure that we are completely pleased and we are and will highly recommend the Xinjiang Travel or Kashgar guide.